Levi Strauss, A.L. 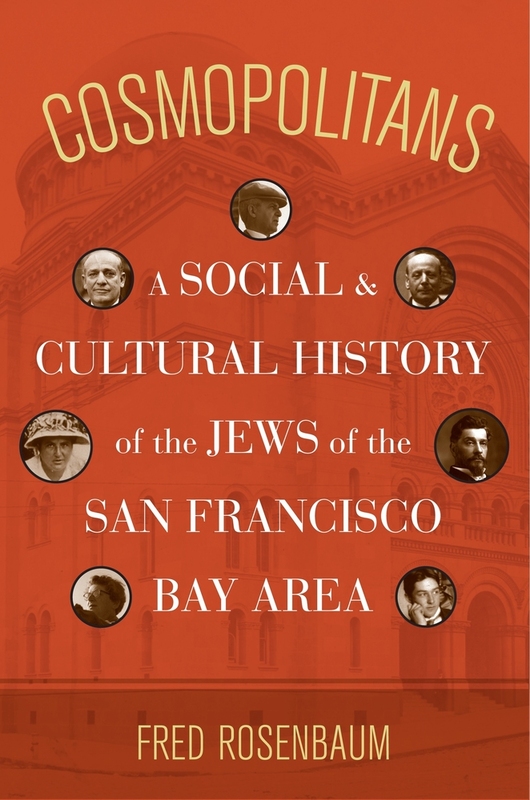 Gump, Yehudi Menuhin, Gertrude Stein, Adolph Sutro, Congresswoman Florence Prag Kahn--Jewish people have been so enmeshed in life in and around San Francisco that their story is a chronicle of the metropolis itself. Since the Gold Rush, Bay Area Jews have countered stereotypes, working as farmers and miners, boxers and mountaineers. They were Gold Rush pioneers, Gilded Age tycoons, and Progressive Era reformers. Told through an astonishing range of characters and events, Cosmopolitans illuminates many aspects of Jewish life in the area: the high profile of Jewish women, extraordinary achievements in the business world, the cultural creativity of the second generation, the bitter debate about the proper response to the Holocaust and Zionism, and much more. Focusing in rich detail on the first hundred years after the Gold Rush, the book also takes the story up to the present day, demonstrating how unusually strong affinities for the arts and for the struggle for social justice have characterized this community even as it has changed over time. 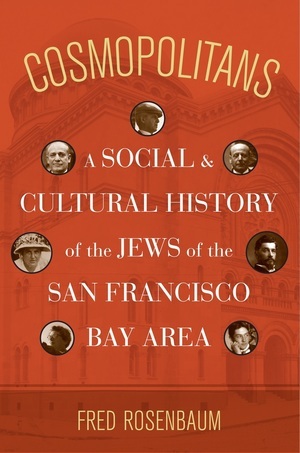 Cosmopolitans, set in the uncommonly diverse Bay Area, is a truly unique chapter of the Jewish experience in America. Fred Rosenbaum is the Founding Director of Lehrhaus Judaica, the largest school for adult Jewish education in the American West, and the author of Visions of Reform: Congregation Emanu-El and the jews of San Francisco, among other books. He has also taught modern Jewish history at the Graduate Theological Union, the University of San Francisco, and San Francisco State University. Rosenbaum is the award-winning author of seven books on Bay Area Jewish history and the Holocaust including most recently, with Eva Libitzky, Out on a Ledge: Enduring the Lodz Ghetto, Auschwitz, and Beyond.